When I moved into my new home, I had a half completed project waiting for me in the background. 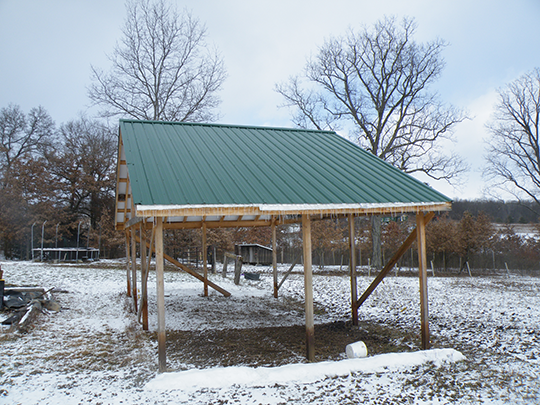 This structure was originally intended to be a horse barn, but I’m not the type who enjoys feeding animals everyday nor do I enjoy making or stacking hay in the hot summer. 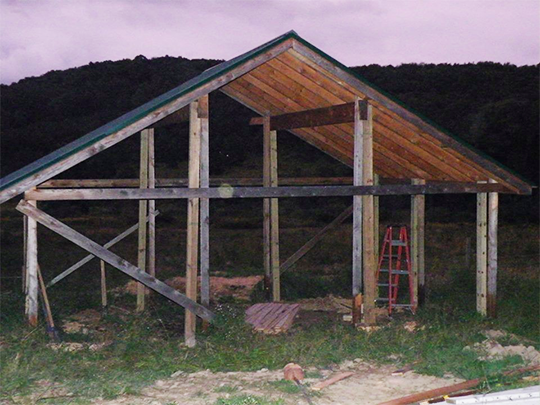 So, I’ve decided to finish the building for use as a shed. The shed already had a roof. I was one of the people who climbed up to the top to hold and screw the tin in place, so I already had a bit of time invested. There was just one problem with the whole project. 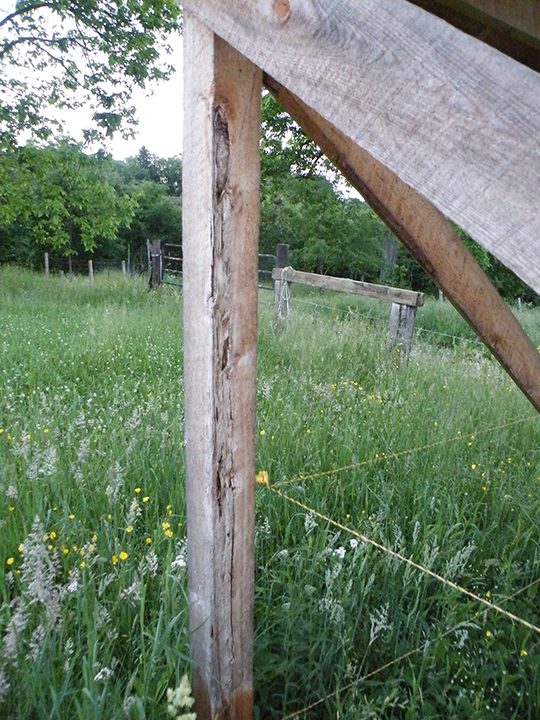 The posts that were sunk into the ground to bear the weight of the roof hadn’t been sunk far enough into the ground, and the posts were untreated rough cut 4x4s. If I was going to finish this building, and do it right, I decided better posts would be needed. With the help of my brother George and our friend Shayne, we managed to install new 4×6 weather treaded posts next to the original posts. We also made sure the bury the posts 36 inches deep to prevent the frost from lifting the posts up out of the soil. The next step was to wrap the building with 1 x 6 boards, which will hold up the tin walls. So here’s where we are at as I begin preparing for winter. 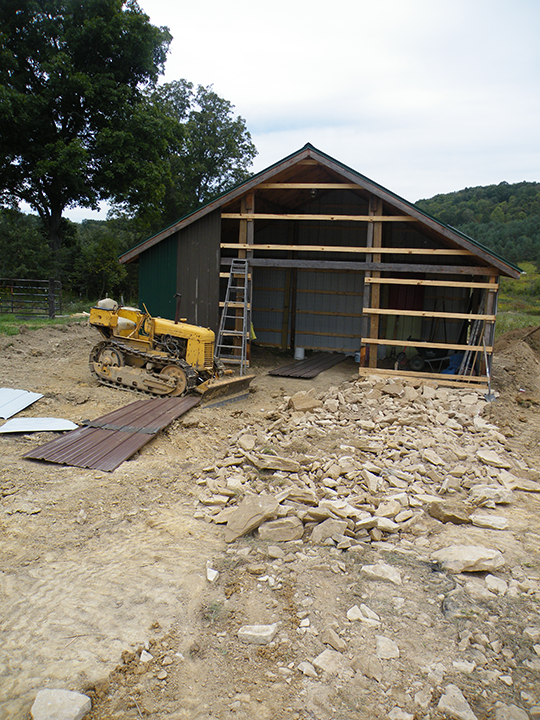 The shed is almost enclosed in tin, and the beginnings of a drive way to the building is taking shape. Like any project, things don’t always go as planned. The bull-dozer which moved all of the top soil out of the way is now in need of serious repair, and should not be moved until then. These repairs should be possible, but until then, I’ll have to work around this machine.